Men: As the spiritual leader in your home, it is primarily your responsibility to get your family off to church. This needs to happen every week - going to church isn't just a "morally good thing to do", it's pertinent for the well being of your family. 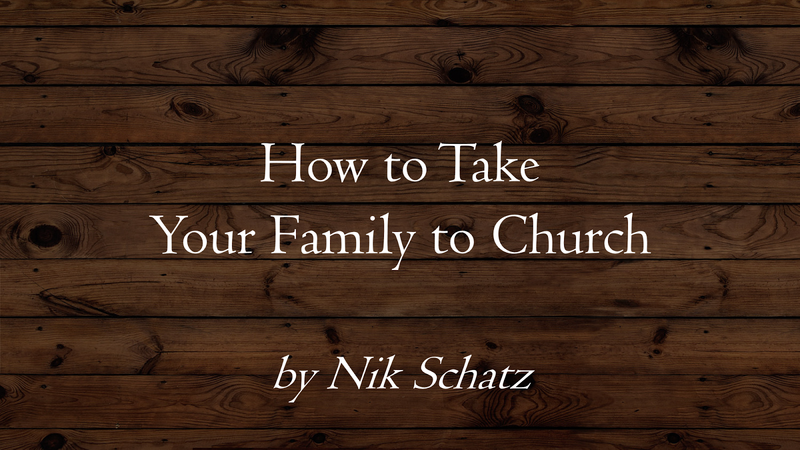 The church is where your family makes and maintains godly friendships, where everyone learns how to live out God's word, where you find ways to serve God together, and where you submit to other spiritual leaders like the pastor and your small group leaders. Getting out of bed, dressed, and in the car is one thing. But setting the mood and getting everyone pumped about heading to God's house is another task altogether. First one out of bed. As the man of the house, I get up first on Sunday morning. Around 6:30am I get coffee brewing, set out from breakfast food, and I spend about 15 minutes reading my Bible and praying for my church. Then I get myself ready - shaved, showered, and dressed. Setting the mood. Around 8:00am, my kids need to be out of bed and mentally with it. I like to open the windows to let some cheery sunlight flood the house. Then I play some upbeat Christian music (we do Southern Gospel on Sunday mornings) and get breakfast going. As my wife and kids come out of the woodwork, I greet them with a smile and the breakfast menu that day. Out the door. After we all load up and are on the way, I always lead the family in a quick prayer for the day. I pray that we all learn something from God's word in our morning classes, that the kids have fun with their friends, and that we are able to be of some service that day - I never want my family to just be takers at church but rather to have the mindset of giving and serving. I hope that helps. I'll see you and your family at church this weekend!